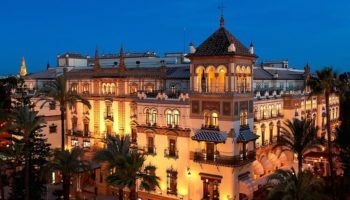 After you’ve seen Madrid, this 5-day trip to Spain’s Andalusian region is a logical extension of your travel plans. It’s a good place to immerse yourself in Spanish history. 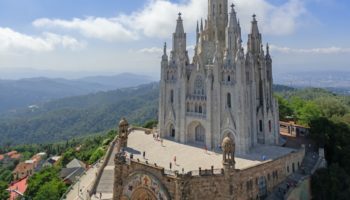 You’ll see Roman ruins and graceful Muslim architecture as well as learn more about the Spanish Inquisition. 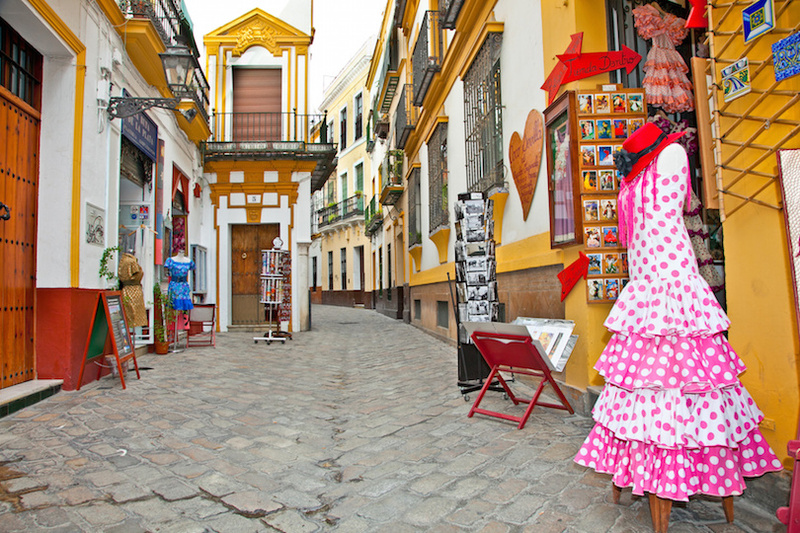 Andalusia is known for its flamenco dancing and bullfighting, not to mention tasty cuisine. 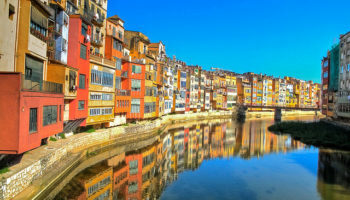 This 5 days in Spain tour takes care of all your hotel accommodations, coach transport, daily breakfasts and some dinners. Enjoy! 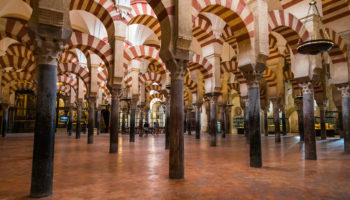 Inhabited since 35,000 BC, Cordoba was the most populous city in the world in the 10th century. Today, it has about 300,000 people. Located on the Guadalquivir River, Cordoba was ruled by Romans and later by Muslims, who left their stamp on the city. 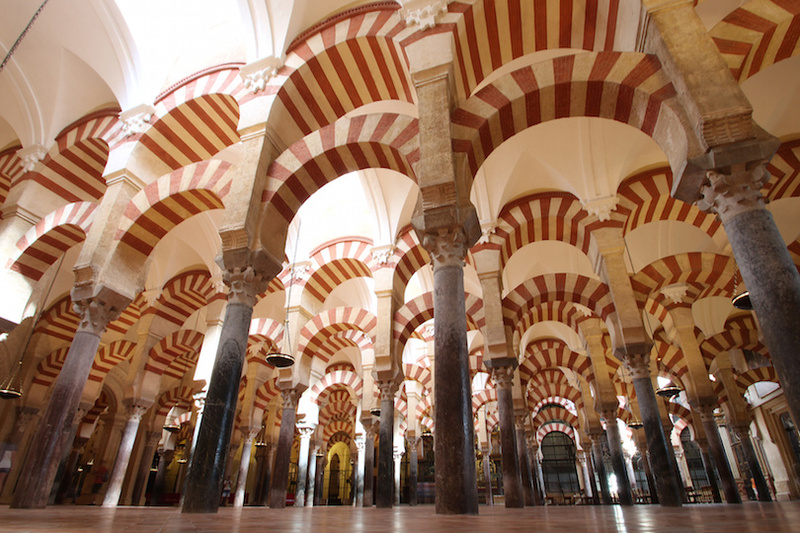 You’ll want to visit the Mezquita, a 10th century mosque that was converted to a cathedral. If you’re here in early February, the carnival, ruled over by a sultan and sultana, is a must. 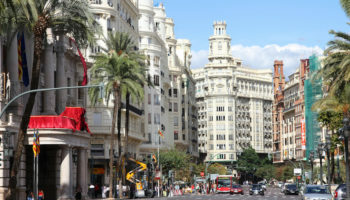 Other key attractions include the Jewish quarter, the alcazar, city walls and the Callejon de las Flores, the city’s most photographed street. 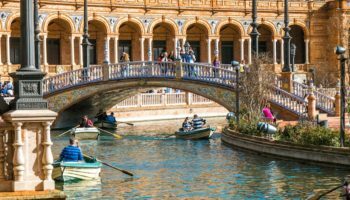 Seville has a lot of things going for it: the only river port in Spain; the fourth largest Old Town in Europe; St. Mary of the Sea Cathedral, one of the largest medieval cathedrals in Europe, and great food – it’s the self-proclaimed tapas capital of the world. The cathedral is built over the site of a former mosque. If you’re energetic, you can climb to the top of the tower. 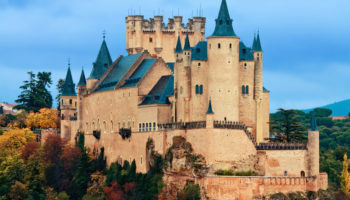 You may recognize the 12th century Alcazar, which has been featured on Game of Thrones. After the included guided city tour you can spend some time wandering through the picturesque Old Town in the afternoon and take in a museum or two. 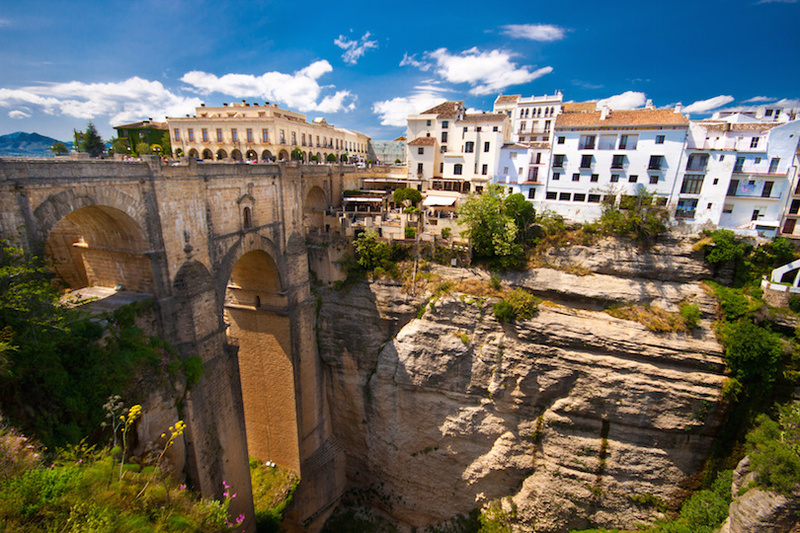 Like many Andalusian cities, Ronda dates back to prehistoric times. This means you’ll want to visit the rock paintings at the Cueva de la Pieta. Ruled over the centuries by the Phoenicians, Romans, Berbers and Muslims, Ronda brings a unique culture to the table. The noted Romero family modernized Spanish bullfighting, including using a cape, in the 19th century. Ronda has the oldest bullfighting ring in Spain that is used for the annual Corrida Goyesca. 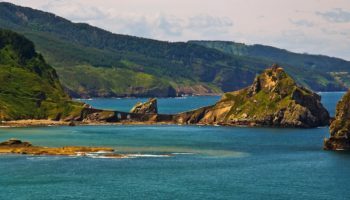 Top sights include three bridges that span the canyon over the Guadalquivir River, and the Old Town, described in books by Ernest Hemingway and Orson Welles. After touring the many historic delights that Andalusia offers, it’s time for a sun break at Torremolinos on the Costa del Sol. The resort city is known for its clean sandy beaches, making it perfect for you sunbathers and beachcombers. Stroll along the Mediterranean Sea on the Promenade Maritimo; if you walk long enough you’ll arrive at La Canhuela, a picturesque old fishing village. Enjoy a seafood meal at a seaside restaurant. 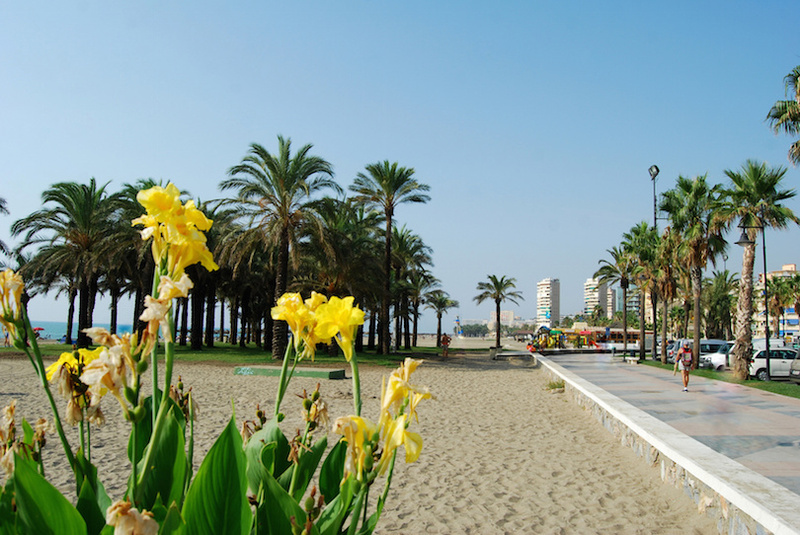 Perhaps you’ll have time to enjoy Torremolinos’ public parks and gardens – the city has planted more than a thousand species of trees. Ah, the glories of Granada! 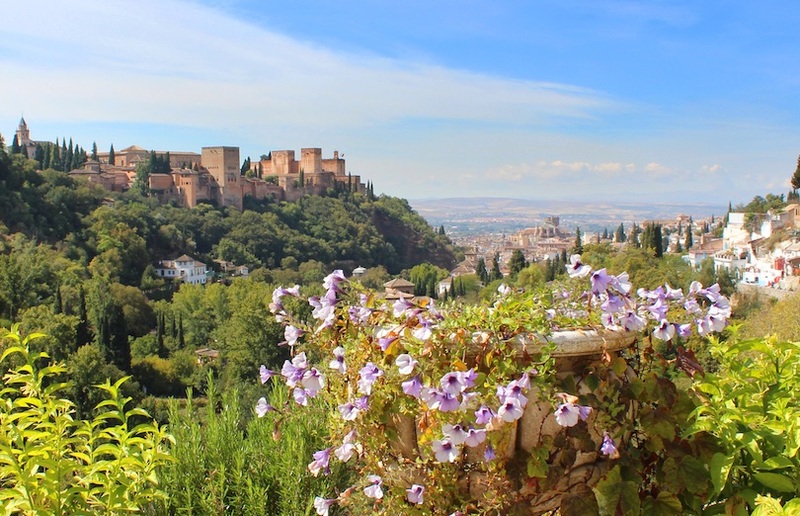 People come here from all over the world to visit the Alhambra, a magnificent Moorish castle complex that is even more beautiful when lit up at night. Spend time wandering through the Generalife, a garden that has been called a “paradise on earth.” Just wandering through Old Granada is a treat for the eyes – be sure you have a supply of memory cards with you. Then soak your weary body in the Arab baths and end the day at a Gypsy Zambra flamenco show. 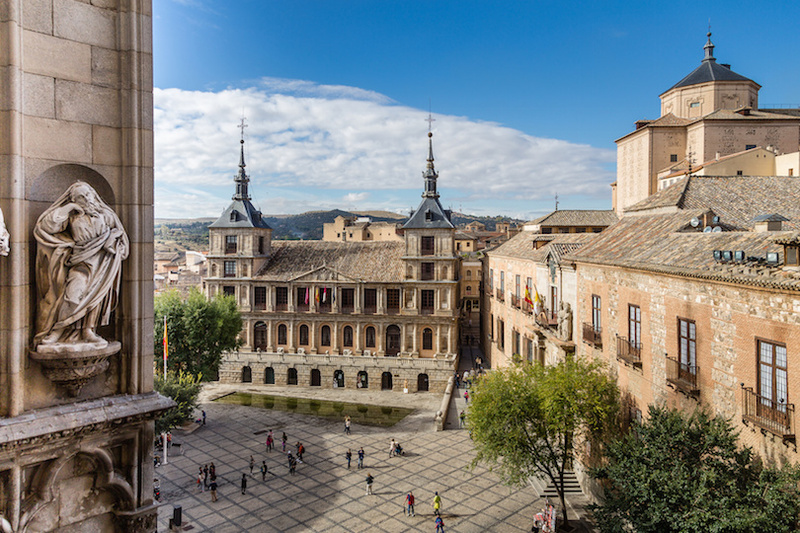 Toledo is the perfect place to end your whirlwind tour of Andalusia. This medieval walled city sits atop a mountain overlooking the Tagus River. The Old Town is spectacular; if you don’t do anything more than wander through it, your visit will be successful. 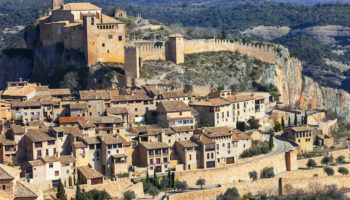 As long as you’re here, however, do take time to visit the outstanding Cathedral of Toledo and the Church of Santo Tomé, which houses a painting by El Greco. Another Toledo landmark is the Synagogue of St. Mary the White, which also served as a mosque and Christian church – Old Toledo was a place where Muslims, Christians and Jews co-existed in peace. After Toledo its back to Madrid where your five-day tour of Spain ends.